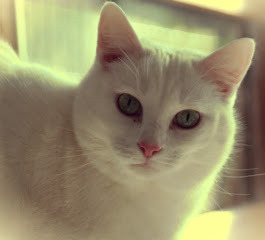 I have not blogged much in the past few months because of Minnie. Caring for her has been a 24/7 job. She had stopped eating on her own about a week ago and even though I was assist feeding her, she was fading away. Yesterday she developed a URI and her nose became congested. making it hard for her to breathe on top of everything else. Just two months after being diagnosed with late stage chronic renal failure, we let her go this morning. She was sitting contently on Pop's lap when the vet gave her the sedative and injection. Minnie slipped away so very quickly and quietly - we knew it was time. Minnie at about 7-8 months outside. This is our third loss this year - Lily, Ivy and now Minnie. Minnie was the next to last of the feral colony we inherited when we moved to the mountains. 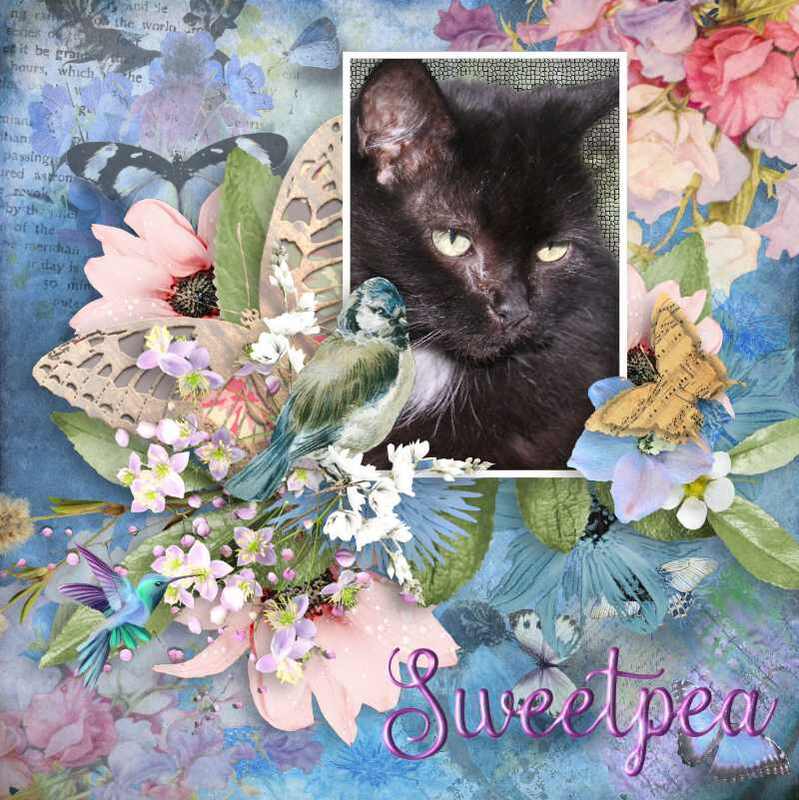 Sweetpea is the only one left of that group. 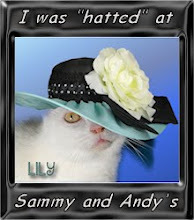 (To read Minnie's gotcha story click here.) Minnie was tiny at six pounds but long and lean and fiercely independent. She did everything her way or not at all. She was not a lap cat but allowed you to come to her to give her loving. She did enjoy the attention. She was very vocal if you tried to make her do something she did not want to do. She had a raspy meow, similar to Ivy's quack and would not put up with much. She would reprimand the younger cats if they got too rough near her with a growl and firm paw whap. She was incredibly devoted to her litter mate Joey. When we caught him and brought him inside to live with us, she was there through it all, even sleeping on his kennel where he lived for the first few days. They were inseparable, together always, sleeping, wrestling and grooming. When Joey passed in 2012, Minnie was there with him to the end. Minnie disliked having her picture taken for some strange reason. She would turn her head or look down when you pointed the camera at her. I had to snap shots of her when she was not looking. Because of this I don't have many good close-up shots of her. Minnie walked between the inside and outside window. 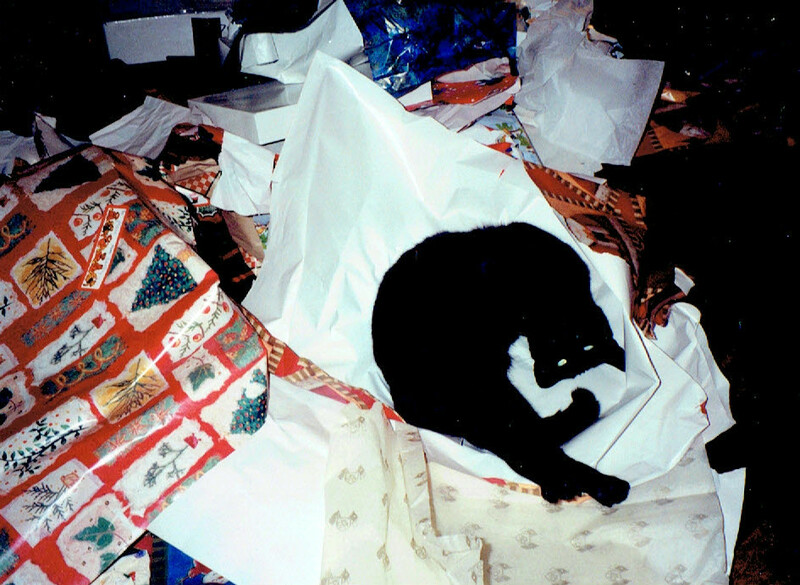 She was a curious intelligent and mischievous cat, always getting into something. She loved boxes or any tiny space she could get into for that matter. 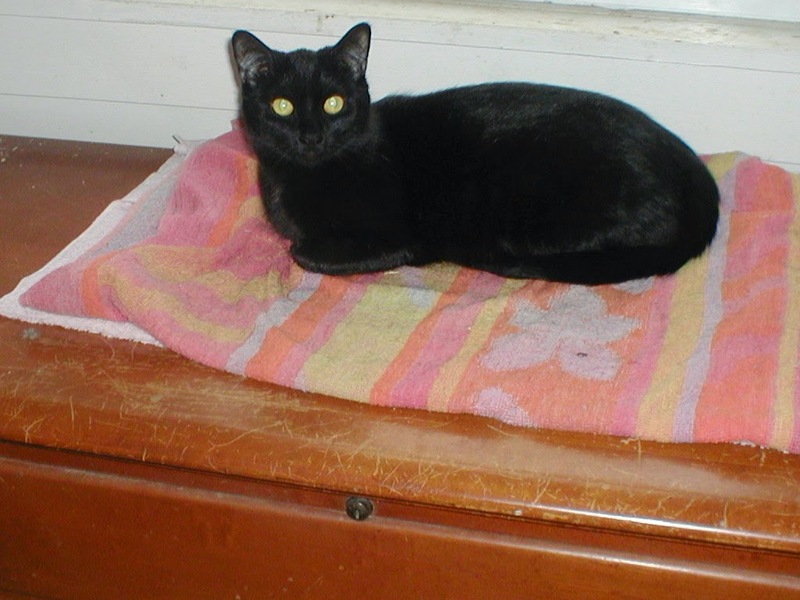 Just this past summer, she crawled into a dresser drawer I left open and because she is black I didn't see her when I shut the drawer with her inside, asleep. Hours later I wondered where she was but it wasn't until Pop came to bed and shut the lights out that we heard her raspy meow and scratching coming from the dresser. She was fine, just a bit put out from having been stuck in there. She loved to play and did everything with such abandon. She certainly kept us amused with her antics. Minnie loved the Christmas holidays and got into the action of decorating the tree, wrapping gifts and of course unwrapping the presents. 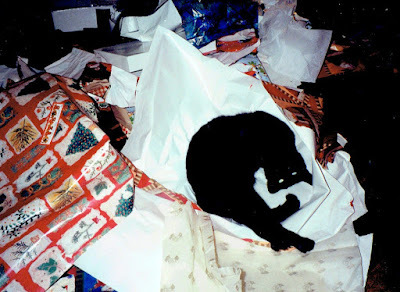 She loved to dive into the discarded paper, sliding on the floor scattering it it all over. Minnie gave me the gift of living in the now, this moment to the fullest. She was chock full of joie de vivre and it spilled over into our lives. Minnie is buried with her favorite catnip toy on our land with the others. 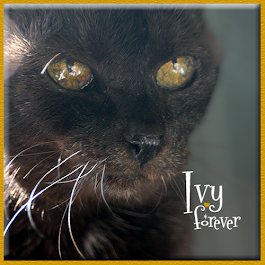 I will miss her terribly but I know in my heart that she was warmly greeted on the other side by all the beloved cats from her feral colony - Big Guy, Mamma Kitty, Leroy, Ivy, Nick, Bob, and especially Joey. If all of these wonderful cats are watching over me as my angels now - how lucky can I get? Until we meet again sweet girl.. 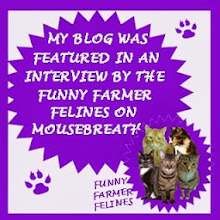 I am taking a blog break - I had Halloween and Callie and Snowball's Gotchas Days set to post but I will let Minnie's story stay here and do the others at a later date. 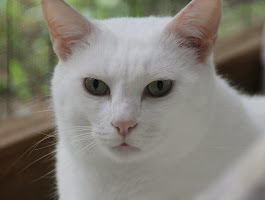 Snowball's Gotcha Day post will be on the blog Thurs. Nov. 8 so come back then. WE are sorry to hear this news. 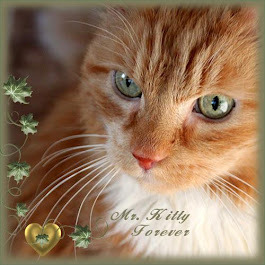 Such a pretty kitty.We purr you have lots of happy memories. We know it is hard to bear right now, so we send comforting purrs. So sorry for your loss. Minnie sounded like a wonderful girl and as cat like as can be. Please take care of yourself as you grieve. We lost our favorite dog in June and it still hurts. I am so deeply sorry. 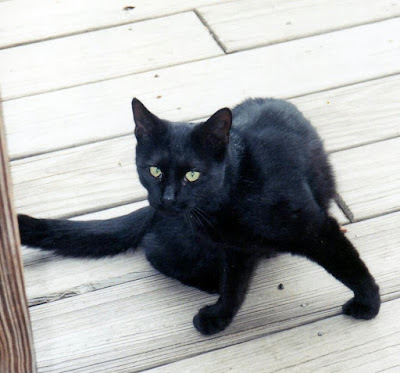 I cannot begin to imagine the pain you have to feel losing three cats so closely. I loved how unique Minnie was, she definitely sounded like a character. Sending you loving (((hugs)))) and my deepest sympathy and comfort. Oh Cheri, we arJe so so sorry about Minnie. Sure hope things get better for you and the cats really soon. 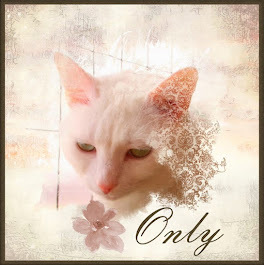 What a lovely tribute post to Minnie...I am so sorry for your loss. 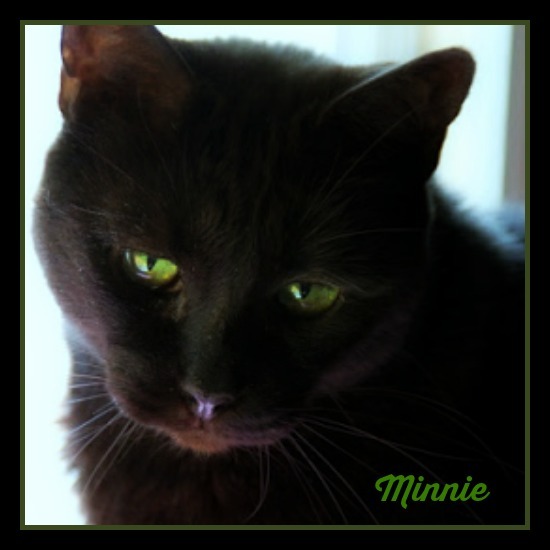 Your description of Minnie's intolerance for the camera sounds so much like our Sweetie; she turns her head or moves far enough away that the camera only gets a black blob...may Minnie rest in peace; she's earned it! Tears are pouring down as I read those last two lines. I am so, so sorry. I can't even imagine the loss of 3 cats in one year. Losing two over the course of two years has been devastating for me. 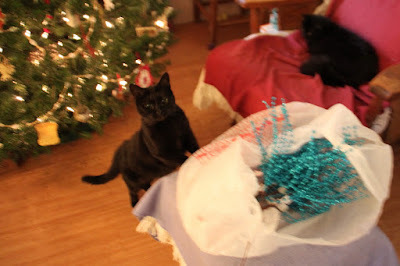 Sending you and your family gentle purrs of comfort and love. Sending purrs and love from our house. I'm so sorry to hear that Minnie has crossed the Bridge Cheri and know you'll be feeling very sad and will miss her so much as she'd been with you for such a long time. My eyes are wet with tears for you. Take care. My heart goes out to you at your loss. I also have a kitty that doesn't like having her photo taken. 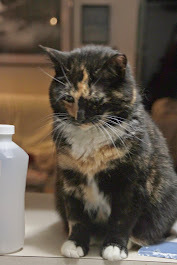 I respect it most days because I personally don't like my photo taken, but occasionally I'll give it a go hoping to get a few good ones of her for posterity..
many purrs of healing and condolence. I can't begin to tell you how sorry we are to hear about dear Minnie. We just can't imaging the pain of losing some many this year. All our love and hugs are headed your way. So the season has another blessed spirit to warm the night. I'm so sorry for you and your husband and your feline family, Cheri. 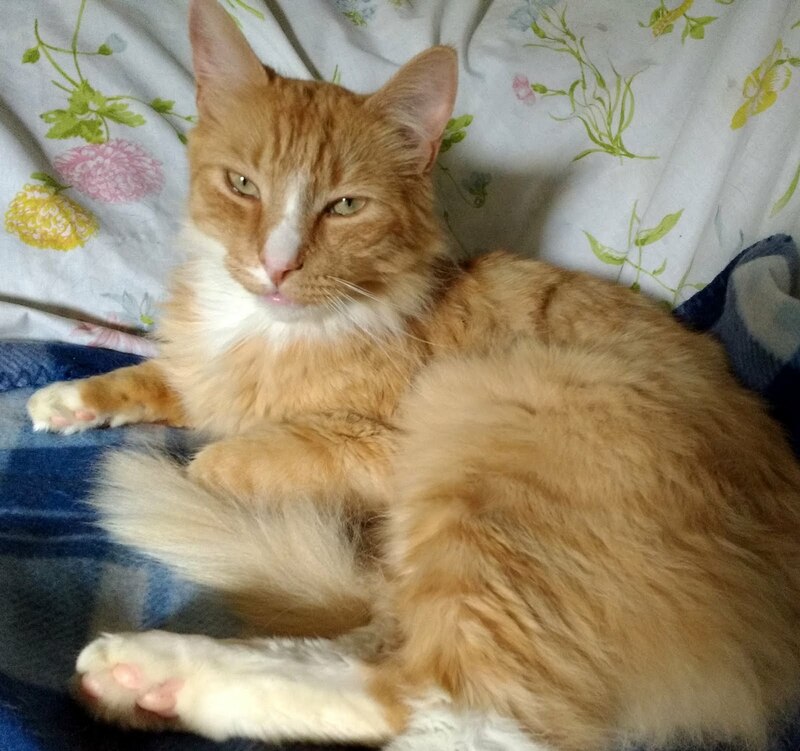 I know how hard it is to lose several beloved long-time member of your feline family in one year, and a loss after intense caretaking hurts in a more intense way. Thank you for giving her the freedom she needed. So sorry to hear about Minnie... We are sending you comfort. Cheri I am so very sorry to hear about Minnie. The cumulative toll of all of these losses is really really hard. You wrote so movingly and tenderly about your beloved Minnie and reading the words you wrote showed me the her revealed how special and close to your heart she was and will always be. There are, I know, no words that can bring comfort to your aching heart, but I pray with time the healing moments will come and that you will remember all the sweet loving times. For now I will keep you close in my thoughts. Farewell only for now sweet Minnie, one day you will see your sweet Mom and Dad and all of your brothers and sisters again. Teared up reading this. We are so sorry to hear that Minnie is gone :(. This is a wonderful tribute to her and all the joy and uniqueness she brought. I am sure she was grateful for all the care and love you gave her through the challenging times all the way to the end. Sending our thoughts, condolences, and purrs. Oh Cheri I am so sorry! Sending love and hugs and heartfelt condolences. We here at The Big Piney Woods are so saddened by the news. 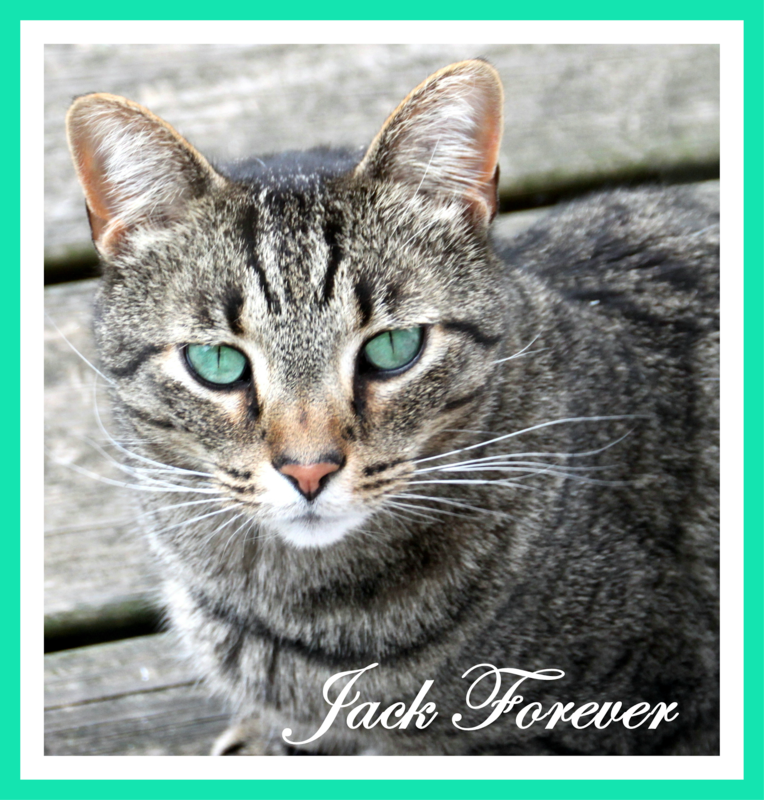 We know all to well how hard it is to loose a beloved cat. Thank you for all you do for sweethearts. We are so very sorry. We send you lots of comforting purrs. We are so sad to hear that precious, beautiful Minnie has gone to the Bridge. We understand how difficult it is to part with such a dear member of your family. Our sincere condolences over this terrible loss and we will keep your family in our prayers. Wishing you all comfort at this time of great sorrow...hugs and love. So very sorry for your loss. Minnie was a very special girl. We hope remembering her joy of life will give you comfort in the days to come. Purrs of sympathy and paws of comfort. We're so sorry for your loss. What a lovely tribute to your Minnie. She was so very bootyful. Weez so sowry fur yous many losses. They will always be membered in da hearts of all they touched. Sendin' purrayers. Farewell to sweet Minnie, she will live on in your hearts. I'm so sorry for your loss. 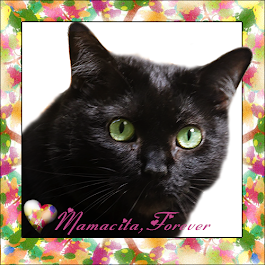 They always take a piece of our heart but she had a great life thanks to your care. Hugs. I am so very sorry to hear of your loss. I haven't been very faithful to reading blogs due to some health problems, so I'm sorry I haven't been on top of her story. My heart breaks for you because I know how much each of the furbabies mean to you. You have given her the best months of her life by taking care of her so well. She had a great life with you. Sending you big HUGS. I'm so sorry Minnie is gone. 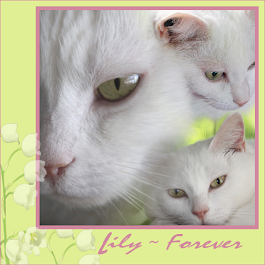 :-( You do have so many wonderful memories of her - I can only imagine the empty place she left in your heart. 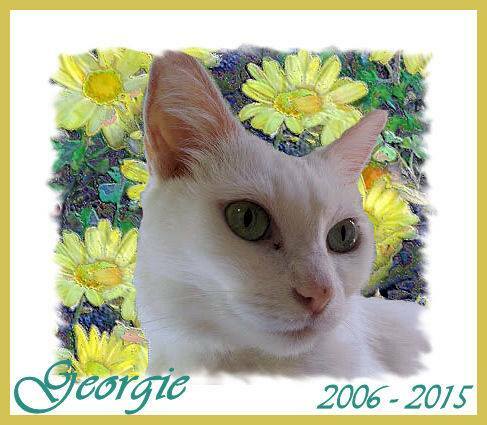 Dear friend we are sorry for your loss and your difficult year of losses and wish to say how wonderful your tribute was and send lots of purrs and purrayers your way. We're so very sorry for your loss. What a heartbreaking year for you! 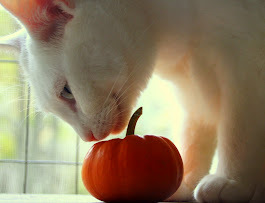 Many purrs of comfort to you and your family. Cheri so very sorry to hear about the loss of your sweet Minnie. Your tribute post is beautiful and full of love! 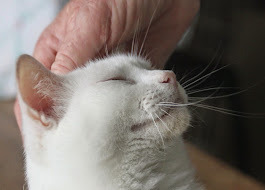 Sending purrs, prayers and soft woofs of comfort to you. 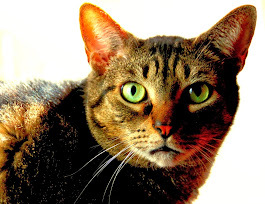 What a lovely and amazing cat Minnie was. We are so very sorry that she had to go to the Bridge, Cheri and Don. Thank you for loving her so much, and for sharing her with all of us. 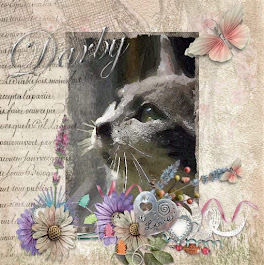 Sending you purrs and prayers for comfort, dear friends. -Purrz from Katie and the Katz. We is all so sorry for your loss. Mom bean says she knows how hard it is to let go, but when we go easy she feels we are letting her know we're ready. You took such good care of her. I know you will miss her terribly. A beautiful loving tribute to a tiny girl who loved you and your husband just as much as you loved her. Rest in peace and beauty little one. We are all so sorry Minnie had to leave you. Thank you for sharing your memories with us. Purrs. I am so sorry you lost Minnie. I understand the depth of this pain. I had to let go of our Panther in June. I still miss her so much. We will keep you in our thoughts...three kitties in one year is three too many. 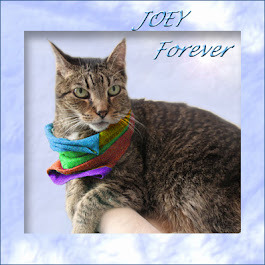 Godspeed Minnie, may you rejoice being with your beloved Joey again. Beautiful tribute to Minnie. I’m so sorry for your loss. Losing three in one year is a tough tOUCH thing. RIP Minnie you were so lucky to have such an awesome home. Beautiful girl ... may you find joy and peace in the gardens and woods of heaven! I am so sorry for your loss of Minnie. This is a beautiful tribute filled with your love for her. My thoughts are with you at this sad time. 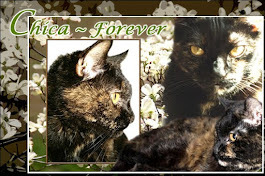 This was a wonderful tribute to Minnie and we feel that we know her a bit and can tell she was a wonderful cat who lived life to the fullest. Please watch over us Minnie until that day we all meet again. We send our love and support at this sad time. I am so very sorry for your loss. Even when you know it's time, that doesn't make it any less painful. 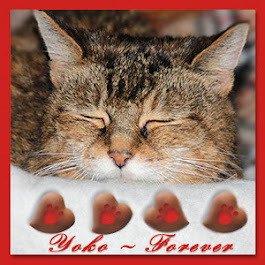 Please know that you are in our thoughts and prayers and that we send purrs and hugs to you. 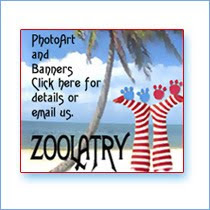 Please let us know if there is anything we can do for you. My deepest sympathy on the loss of your wonderful friend. Keep all the good memories safe in your heart forever. What a terrible year! We are so sorry to hear about your beautiful house panther, Minnie. Sending our deepest condolences and comforting purrs to all of you. We are so very sorry that Minnie has crossed over. It is so difficult to lose a furry loved one. Many hugs to you from all of us at Forty Paws and Maw. Oh Mom Cheri, me and mom are so sorry about Sweet Minnie. Sending soft purrs and our deep condolences to you.